Coming into play Thursday night, the New Orleans Saints had won ten games in a row, and in most of them they had scored points at will. 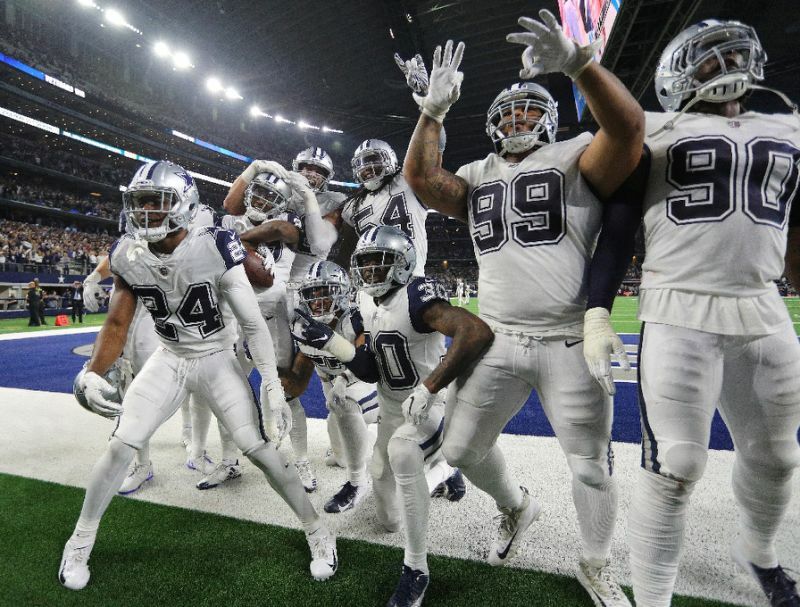 If the Dallas Cowboys wanted to defeat them, they’d have to put in an exceptional defensive performance, and that is exactly what they did in Arlington. The Cowboys took Drew Brees and put him under intense pressure time and time again, forcing the star QB that has broke records galore this season alone, to only throw for only 127 yards on the night. Brees had just one TD, while the interception that he threw proved costly to the Saints’ chances, with him of course being pressured into throwing it. Having ran out to a 10-0 lead in the first quarter, the Cowboys had built a strong platform to win the game upon. They added three more in the second quarter, but the Saints came back with ten points in the third to make it 13-10. The game was on, and surely the Cowboys were going to choke then, right? Wrong, they held firm, and with just over two minutes left, Jourdan Lewis picked off Brees to help seal the win and first place in the NFC East as a result. Kevin Durant scored 51, yes 51, on Thursday night in a clash of two of the best teams in the NBA and what could be Finals preview between the Toronto Raptors and his Golden State Warriors. But it was too little too late for the Warriors, who lost in overtime up north by a score of 131-128. But it wasn’t always that close, that’s for sure. The Raptors jumped out to a big double-digit first quarter lead. But quarter-by-quarter, the Warriors battled back and reduced the deficit. However, at the end of the day the Raptors remained hot. They were led by Kawhi Leonard’s 37 points on the evening, effectively canceling out Durant’s third straight 40-point showing. MLS’ Conference Finals are now in the books after Thursday night, and we know how and where MLS Cup Final will be held. Atlanta United will be hosting at the glorious Mercedes Benz Stadium after their trip to New York against the Red Bulls went well. Despite losing 1-0, thanks to a very late Tim Parker goal, they won 3-1 on aggregate to easily skate into the final at home. In the West, there were fireworks after a 0-0 draw in the first leg. Home side Sporting Kansas City were quick out of the gates to get a goal early through Daniel Salloi. But Seb Blanco’s audacious goal leveled up matters, which actually gave road team Portland the lead thanks to away goals. They got a second from Diego Valeri, and they were out of sight by the looks of it. But SKC roared back nine minutes from the end with a goal from Gerso to tie it at 2-2. They needed another goal and pushed frantically, but they were caught out by Valeri, who scored to seal their place in another MLS Cup Final.